What does the Make-A-Wish Foundation have in common with a Mud Volleyball Tournament? How did both AmeriCorps in Michigan and Relay for Life in San Diego ensure their events would run smoothly? The answer to these questions is a donation from Budget Dumpster. 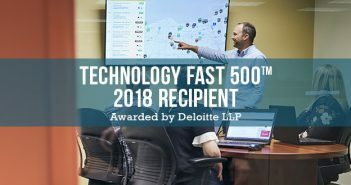 As the company’s donation program enters its 3rd straight year of service, it has already seen success in helping countless groups make a positive impact on their community. And now, they’re expanding the program to help even more communities across the country. This initiative, once exclusively for non-profits, is now available for anyone looking to make a difference. All of the costs associated with waste removal, including delivery, pickup, disposal and applicable taxes, are covered by Budget Dumpster. This makes it very simple to accomplish a variety of projects. However, the easiest part of the process is requesting a free dumpster. Since its start in 2009, Budget Dumpster has been committed to improving the communities within its service areas by delivering affordable and effective waste removal solutions. The Dumpster Donation Program takes that dedication to a new level. Here are the most common types of projects that benefit from a Budget Dumpster donation. Budget Dumpster is a waste removal industry leader and takes direct responsibility for the health of its communities. 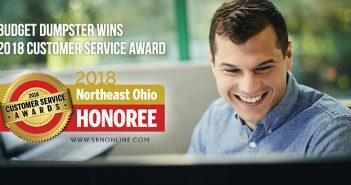 The company has been recognized as a Top Workplace by numerous organizations and has experienced a great deal of growth in a very short amount of time. 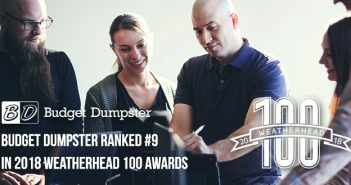 Though they’ve reached some tremendous milestones as a company, Budget Dumpster remains dedicated to the communities in which they do business. This initiative has been so rewarding that Budget Dumpster has their own team dedicated to the task of community service. This team is always looking for ideas and new opportunities to work with organizations. To reach the team directly email: Sean@budgetdumpster.com or call 866-284-6164 ext. 123.